Even the best business systems need to be revised and updated regularly. Use the checklist below to audit your Balanced Scorecard, find possible problems, and fix them during the early stages before they result in bigger issues. There are a number of typical problems that a company’s strategist faces when implementing the Balanced Scorecard framework. 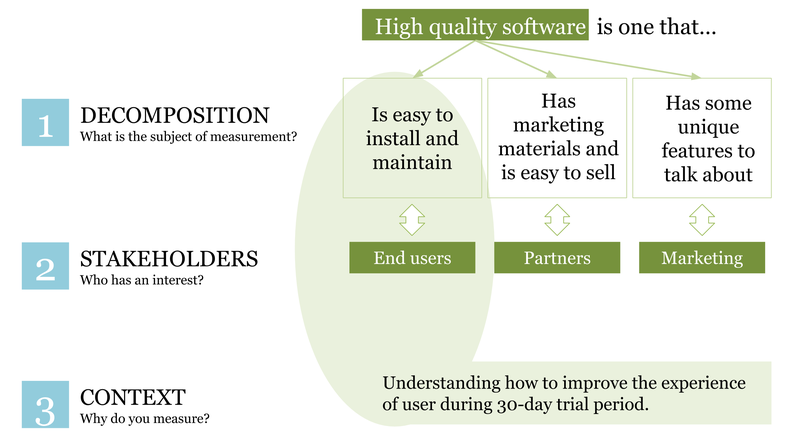 Sometimes, they might look like disadvantages of the framework, but I believe it’s all about finding the right way to use this powerful business tool. This checklist will help. I divided possible situations into the green, yellow, and red zones so that you can quickly learn if your Balanced Scorecard is at risk and how to fix it. This checklist is also available in the form of an infographic. 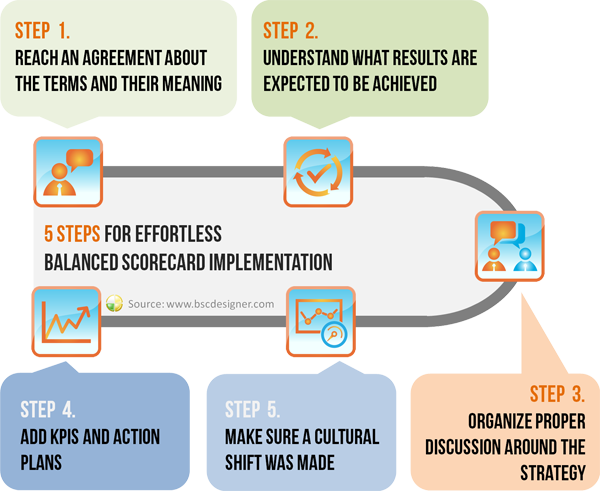 1. Who Designed the Balanced Scorecard for Your Organization? In each department, we had a BSC practitioner who ran a disciplined discussion around the strategy and the ways to execute it. All members contributed to the strategy formulation on their level and helped to find respective measures. An external consultant supervised the project and gave excellent feedback on each stage. Our strategist did the major job; working together with consultants in some cases. Other employees only saw the results and did not participate actively. The Balanced Scorecard was delivered as an out-of-the-box solution by a strategy consultant. Your strategy is a unique piece of intellectual property that is tailor-made by the members of your team. External consultants can help with many organization and methodological issues, but make sure that the strategy remains your core competency. Involve your team in the early stages of strategy discussion, as this will help to solve many motivational problems in the future. Here is our implementation guide that explains the details. 2. What Components of the Balanced Scorecard do You Have? We have strategy maps with cause-and-effect connected business goals; all business goals are aligned with at least one leading and one lagging indicator, and action plans. We have a strategy map with business goals but still in the process of finding correct measures and planning initiatives respectively. We have many KPIs, but there is no strategy map yet. Forget about KPIs for now; they are not the most important part of the Balanced Scorecard. Focus on your strategy first. What hypothesis do you have in mind? How does it decompile into business goals? 3. 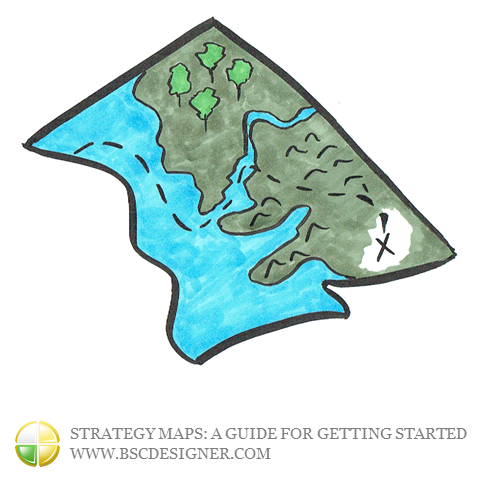 What Does Your Strategy Map Look Like? We have some goals on the strategy map, but we are not sure about the cause-and-effect logic. Sometimes, it goes bottom-up; sometimes top-bottom, and there are some stand-alone goals that are not linked to other goals. Our strategy map is a professionally designed diagram that shows a big picture look at where our business is moving; we get back to it at our annual meetings. A strategy map is one of the most important tools to achieve crystal-clear understanding about how your organization creates customer value. Balanced Scorecard suggests a disciplined way to describe the strategy. 4. Do You Use Strategic Themes? Our goals can probably be assigned to the different strategic themes, but we are not following this disciplined approach yet. All of the business goals we have only belong to the strategic theme or to the “financial success of the organization;” therefore, we don’t use any kind of themes. 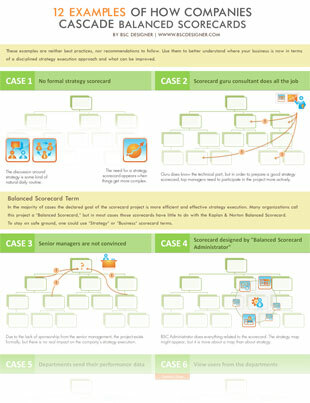 Strategic themes give a professional touch to the strategy map so that it becomes more readable and easier to explain. 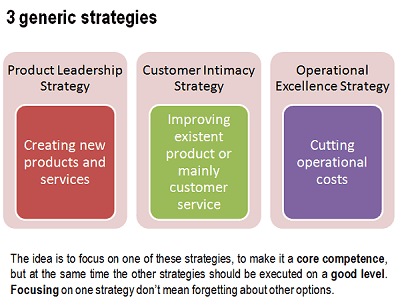 When crafting your strategy, make sure that you take into account generic strategies and respective strategic themes. 5. What Measures do You Have? We have a balanced set of measures that predict the success of execution (leading ones) and measures that confirm that execution was actually successful (lagging measures). We have metrics for all perspectives, not just financial ones. Most of our measures are lagging ones, but we do understand the importance of leading measures and trying to find some. Half of our measures can be characterized as being financial. We are not sure about the differences between leading and lagging measures. We have our KPIs from the list of popular KPIs on the Internet. Most of our metrics are financial ones. Many organizations tend to focus too much on the financial indicators; in their nature, most financial indicators are lagging ones, e.g., they will tell you the score of the game but won’t tell you how to win. Make sure you invest enough time in finding good leading indicators. 6. How Many Measures Do You Have? For each business goal, we have 2-3 leading and lagging measures; there are still some business goals without measures yet. We have, on average, 4-6 KPIs for each business goal, most of them are lagging ones. We are using standard KPIs that were suggested by the external consultant, and we are not sure if/how these KPIs are relevant to the business goals we have. The Balanced Scorecard is not about KPIs; it is about business strategy and business goals. This implies that first, you need to understand your business context and only then should you find appropriate performance metrics, so taking indicators from some online list is not the option. Your ultimate goal is to execute your strategy, not to do another measurement exercise, so try focusing on the most important indicators. 7. Is Your Scorecard Cascaded? We regularly run a strategy discussion and involve participants from all levels of the organization. Each business unit has its own Balanced Scorecard aligned with higher and lower levels by business goals. We have a scorecard with a strategy map and measures. These measures are cascaded down to the lower levels. Our strategy map and its metrics are available for the top managers only. All business goals are mandated top-down and are controlled by KPIs. Don’t promote silo thinking in your company; otherwise, your strategy execution efforts will be very limited by the classical command-control hierarchy. Instead, during the early stages, try to involve your team in strategy discussion on all levels of your organization. 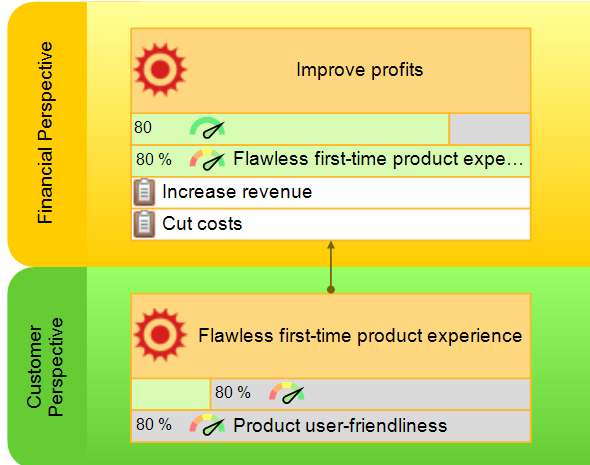 When you need to explain your strategy to the lower levels, do this using business goals, not KPIs. 8. When Was the Last Time Your Balanced Scorecard Was Updated? Measures are updated monthly or quarterly; strategy maps of all business units are revised quarterly or yearly. Measures are updated regularly, but the strategy map was never actualized. Measures are not updated regularly; on all levels, we use the same strategy maps as we had a few years before. On the one hand, your major strategy might be the same for several decades, on the other hand, the way the strategy is interpreted by business units will certainly change. Be more proactive with your strategy and do more controlled experiments. It’s hard to give a general estimation about how often you need to revise your strategy scorecard, but if you found out that you have missed some new market opportunities, then you did it too late. 9. Do You Use Automation Software? We use some professional Balanced Scorecard software that allows us to create strategy maps, add business goals, explain the cause-and-effect logic, align KPIs, and initiatives. The data required for KPIs is taken directly from other business systems. We use professional dashboard software, so we have access to our KPIs, but strategy maps and respective business goals are not part of the system. Data for the KPIs is imported from spreadsheets that we already have. We use presentation software like MS PowerPoint for the strategy map and spreadsheet software like MS Excel for the measures. One might survive with pen and paper format, but in this case, problems with buy-in and motivation to use the Balanced Scorecard cannot be avoided. Your time is valuable, so make sure you spend it on solving intellectual challenges and not on drawing objects in presentation software. 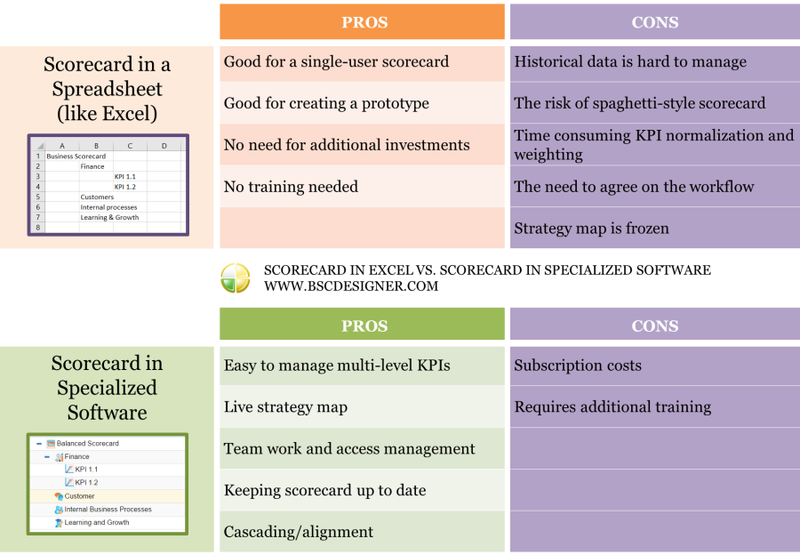 Spreadsheet software might be suitable for the prototype of your Balanced Scorecard, but once you want to scale it, you’ll need to have some professional automation tool. Give BSC Designer a try; it is recognized by many professionals and is an excellent tool. 10. How Does Your Company Use the Balanced Scorecard? We use it when we discuss strategy on all levels; initiatives help us to formalize our action plans, they are measures to help track the execution process. We are gathering much strategy-related information in our scorecard, and we are on the way towards a disciplined strategy definition, description, and execution using this framework. 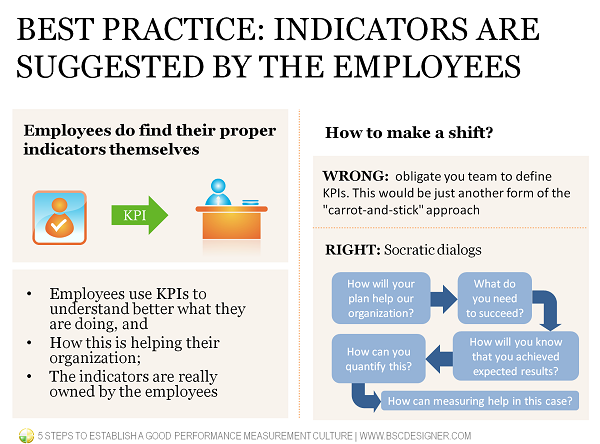 We mostly use the KPI part of the scorecard; some metrics are used to determine rewards and bonuses; employees are controlled by indicators. Make sure that the Balanced Scorecard is actually a strategy execution framework, not just a simple reward calculation scorecard. In most cases, linking rewards to the indicators doesn’t work. 11. 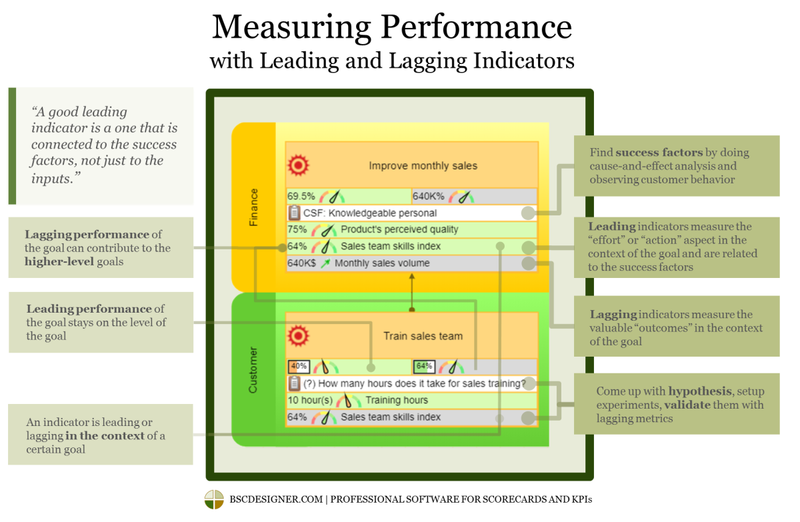 How do You Treat a “KPI in the Red Zone” Situation? Measures can be in the red zone; this is an indication that we need to pay more attention to that certain part of the business. A person responsible for the business and KPI is able to discuss the situation and provide possible improvement/prevention plans. A KPI in the red zone is a problem, so we are trying to choose KPIs carefully so that we focus only on those that we can influence. A KPI in the red zone means that someone did not do his job and will lose his bonus for the next quarter. Balanced Scorecard is more of a cultural shift than some advanced process or technology. You are looking for ways to engage employees and explain how they contribute to the strategy execution, rather than for a way to control them directly. A KPI in a red zone doesn’t mean just problem; first of all, it is an opportunity. Learn more about establishing a proper performance measurement culture. 12. Have You Described a Good Strategy? We have our goals, and behind each goal, we have its strategic rationale. We have a hypothesis about how our plans are aligned with customer goals and financial achievements. The strategic rationale is clear for most goals, but we still have to test some hypothesis before formulating a viable strategy and explaining it to the team. Our strategy is overloaded with business jargon. We have many goals about “leveraging opportunities,” but most members of the team don’t understand what exactly this means. Good strategy is not just about creating a strategy map or finding KPIs. Before, we discussed specific steps that organizations normally pass to come up with a good strategy. Here are some citations from the interviews with Balanced Scorecard experts. Also, remember that the scorecard is not a measurement system – this is the biggest mistake that companies make, and it stops them from securing the real benefits of the approach – which is around step-change and breakthrough performance improvement. The problem with a lot of BSC systems is that a lot of effort goes into getting the system designed, then people move on to the next project. If you’re just using it to report on performance occasionally, it won’t stay fresh. Are there some other audit questions that you think we should add? Please share your thoughts in the comments.